It’s that time again! As the sun makes its long-awaited appearance for 2016, Technique Recordings are gearing up for another summer album. 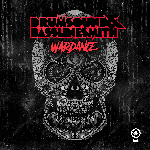 And, here’s a taster courtesy of the label’s bosses Drumsound & Bassline Smith. As the title “Rise of the Black Panther” suggests, this one comes equipped with power. And that power comes wrapped in more unadulterated funk than we’re used to seeing in recent D&B. There’s a crate-digger’s treasure trove of samples, led by, of course, some almighty horn stabs. There’s a driving live-sounding bass. There are head-nodding, body-moving drums. It’s a joyous exploration of the way this music can be heavy, energetic and summertime-flavoured all at the same time. If this is a benchmark for what the rest of the album has to offer, then D&B-lovers are in for something special this summer.